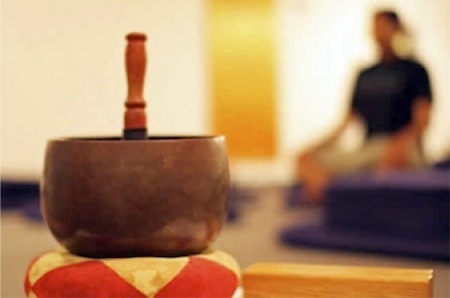 The Shambhala Center provides meditation instruction in two contexts. One is an introductory presentation and follow-up provided by Shambhala Guides and the second is an ongoing relationship with a meditation instructor (MI). Instructors are senior Shambhala Buddhist practitioners specially trained and authorized to help people deepen and expand their conceptual and experiential understanding of meditation. We encourage anyone interested in this journey to establish a working relationship with the meditation instructor of her/his choice and keep working with the instructor for as long as doing so feels beneficial. If you have already taken a course at the Center and are interested in furthering your studies under the supervision of a meditation instructor, please send us an email and someone will be in touch to discuss this with you. Introductory meditation instruction presents the basic meditation practice taught in the Shambhala community. This practice combines a simple three-part technique and a particular view or attitude. In our tradition, meditation instruction involves more than the communication of a technique; it is, at heart, about the transmission of the revolutionary view that unconditional wisdom and compassion are the very ground of our being, and that by learning to relax more and more fully, we allow this fundamental nature to flower. Common obstacles to meditation include disheartenment, resistance, procrastination, discursiveness and spacing out. The obstacles are well documented in the Shambhala Buddhist teachings—and so are their antidotes. Shambhala presents many opportunities for students to deepen their practice and study—public meditation sessions, weeknight classes, weekend programs, retreats and seminaries, to name a few. A meditation instructor can help you decide what to do next and when to do it. The workaday world is where the rubber meets the road. Getting the tools to meet life’s ups and downs with a strong and pliable mind and an open heart is another potential benefit of working with a meditation instructor.